We are here to help your vacant Bryan/College Station house sell faster and for more. You only get one chance to make a first impression. Let us help make your home outshine the competition. The most successful real estate agents know that in order to get the largest amount possible for their clients, and higher commissions for themselves, the homes they are selling need to be staged. Our collections are designed to highlight the best features of a vacant property and make it broadly appealing, so that any buyer who walks through the door can envision themselves living there. Newly built homes that are empty do not tend to show as well because they are cold and lifeless. Help your potential buyers create a connection with the home you've built and visualize their new life in their new home. They will prefer the experience of walking into a warm and inviting home they can see themselves living in. Staging offers you that competitive edge. The best solutions for your home! 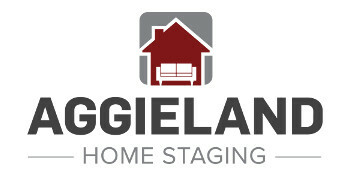 Aggieland Home Staging is more effective and less expensive than reducing your asking price. By minimizing distractions and enhancing the positives of your property through staging with our exceptional collections, we can help your house shine! Professionally staged homes sell faster and for more money. The National Association of Realtors (NAR) found that a professionally staged home will sell 50% faster and have an increased profit of 6-10%. For example, a non-staged home that sold for $350,000 probably would have sold for at least $371,000, conservatively. © 2017 Aggieland Home Staging. All Rights Reserved. TemplateMonster Design.